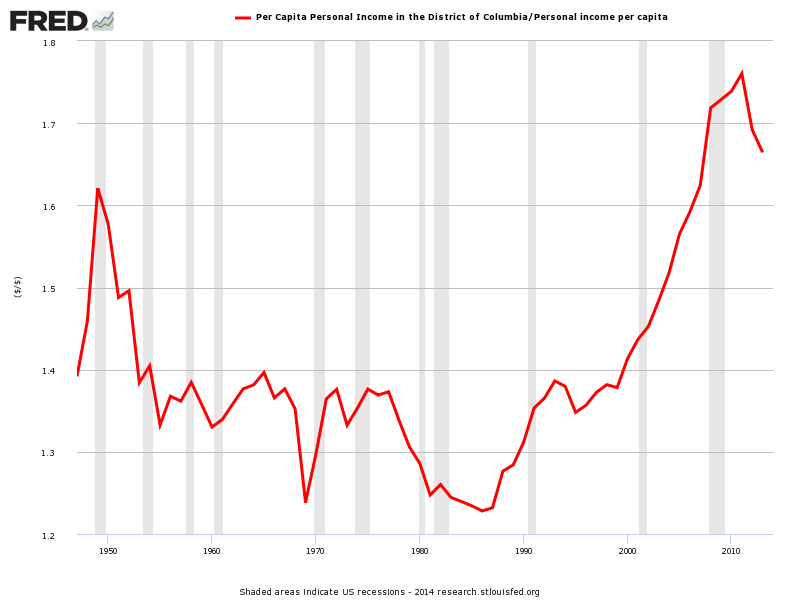 DC Per Capita Income - Business Insider: "It shows the ratio of Per Capita Personal Income In Washington DC vs Per Capita Personal Income in the entire country. As you can see, the two decades from the 1990 to 2010 were amazing years for DC, as the ratio surged from just over 1.2x to 1.8x. Good times."